Save all of your bookmarks in one place. You will no longer have some of your websites saved on your home computer and some saved on your school computer. Many bookmarking sites also have apps that you can use on iPads and Android devices, so you can also access your bookmarks on iPads or mobile devices, too. Social bookmarking is social because you are sharing your favorite websites with others. You can also view the bookmarks of people with similar interests. So, if you teach math you may find some great sites that are bookmarked by another math teacher. Bookmarking sites allow you to add tags to the websites you save. So a math website could be tagged: math, 6th grade, and algebra. Tags allow you to categorize and organize your sites. So when you are looking for a particular site, it is easier to find. Share your online bookmarks with teachers, students, or parents. You are creating a great resource! Create a grade-level or classroom account and invite students to add websites. Encourage students to evaluate websites for educational merit before including them on your class bookmarking site. I came across this image on Google and I thought that this was an interesting way to display text message abbreviations. Teachers could share this image with students to teach them (and their parents) about net and texting lingo and it could be used in a lesson about Internet safety and netiquette. As far as I can tell the image is from Lab Five. There is also a link available on the site to a .pdf printable version. Newspaper Map is a an online map that helps you to locate online newspapers from around the world. Students can look at the map to see the number of publications located in different parts of the world. The markers are color coded to show the original language in which the publication was written. But, don't let a foreign language stop you from reading the news from Paris or Istanbul- Newspaper Map uses Google Translate to quickly convert the news to the language of your choice. This site would be useful in Social Studies classes to learn about global news events or in Foreign Language class to read articles in their original languages. Check out the historical newspapers, too. These would be great for history class. Glogster EDU is one of my favorite tools for the classroom. Glogster EDU is an online application that creates online, multimedia posters called glogs. The application is easy to use and my students love the creative process of creating a glog. Glogster EDU can be used to create a poster on any topic because the user can choose from provided graphics or upload their own. Above is a Glogster EDU Presentation. All glogs can be shared by URL or by embedding the project in a website, blog, or wiki, but the Presentation Tool allows users to create an interactive, rotating visual of any glogs that you choose to present. The glogs can be those that you or your students have created, but can also include any glogs that are saved publically, such as those above. The glogs featured here were created by various users and represent some of the best glogs created for education. 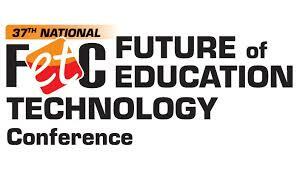 Note: The Presentation feature is only available to users that have a Teacher Premium or School Premium account. Click here to learn more about Glogster EDU and product pricing and options. 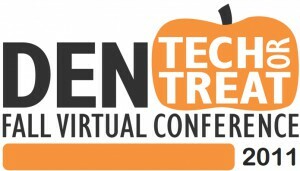 The Discovery Education fall virtual conference Tech or Treat has been scheduled for Saturday, October 22, 2011 from 9am to 3pm ET. You are invited to join in on the fun as we have an amazing lineup of presenters including Wes Fryer, author of Playing with Media: Simple Ideas for Powerful Sharing, our DEN Gurus, and more. In this session I’ll share some creative ways to ‘Do the Mash’ DEN Style. We’ll combine Discovery Education and Web2.0 applications to create a Monster Mash-Up that will surely bring out the entertainer in all of us! Click here to join our local Lexington, South Carolina event. Click here to see the list of other in-person events around the country. Select two numbers to complete the number sentence to practice fact families and addition with the Sum Cloud. This activity is by Count Me In Too from the State of New South Wales education department. Use this activity on your SMARTboard for interactive fun and learning.